http://allhailgrimlock.booklikes.com Grimlock ♥ Ultra Magnus 5.0 Another Five Star Graphic Novel from the New 52! text Another Five Star Graphic Novel from the New 52! Revised to 4 stars. 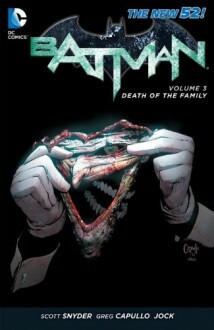 It reads much better in trade and after listening to the Capullo/Snyder appearance on Fatman on Batman. http://gypsylibrarian.booklikes.com Gypsy Librarian on Books 5.0 The Joker is back! text The Joker is back!